Aanii Biindigen. Miigwech baamaapii. Hello, come in. Thank you, until later. 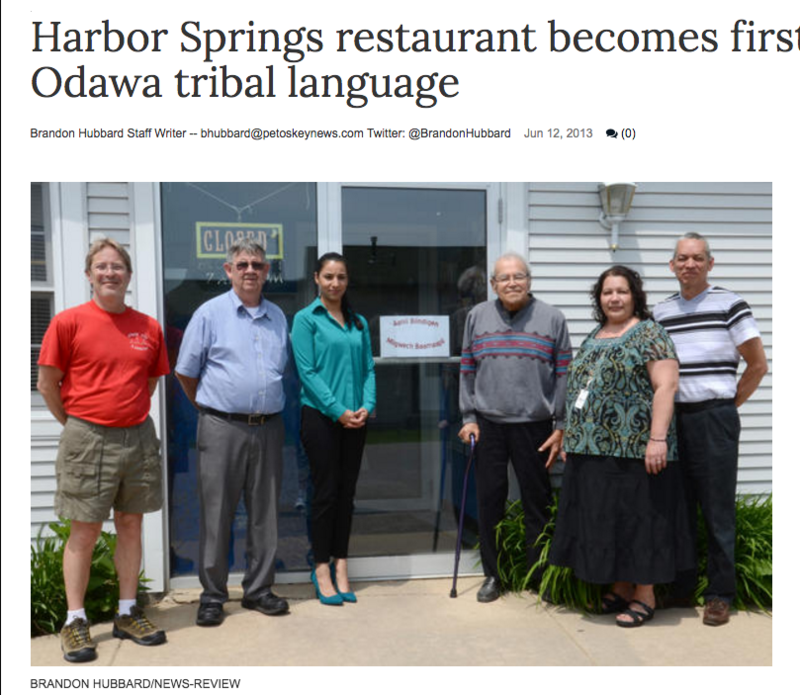 Those traditional greetings in Anishinaabemowin, the language of the Little Traverse Bay Bands of Odawa Indians, were lettered on the front door Tuesday at Out to Lunch, a breakfast and lunch restaurant on State Street in Harbor Springs, embracing the language of the people who first lived in Northern Michigan.